Now that spring is here and summer is around the corner, golf season is in full swing. 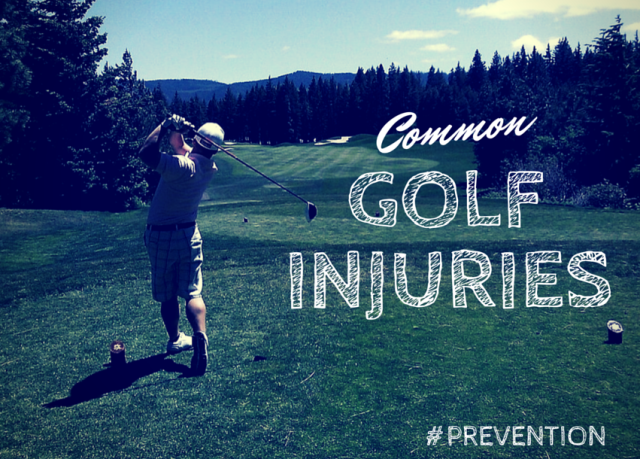 Although not a contact sport, golf can also mean serious injuries for some. The most typical orthopedic injuries involve the lower back, shoulders, elbows, wrists and hands. These are often referred to as overuse injuries, as the impact and stress of the repetitive motion of a golf swing can be taxing on muscles and joints. Golfers may also suffer from knee pain, as well as skin abrasions such as blisters and sunburn or windburn due to exposure to the elements. If you suffer from any of these injuries, visit your orthopedist to make sure nothing is serious. Typical treatment for many of these conditions might include proper rest and over-the-counter pain medication, as well as adjusting your swing when you are ready to return to the course. A safer swing can be the key to avoiding many of these injuries.